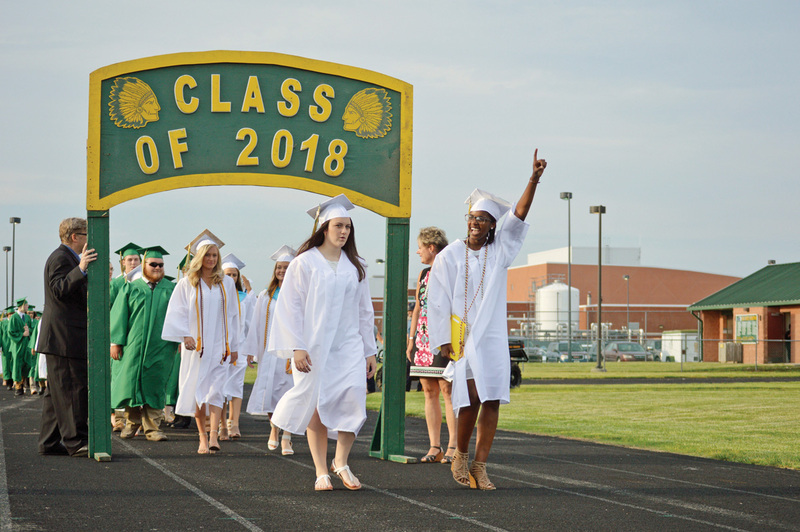 Students from the Indian River High School Class of 2018 enjoy the happenings at their graduation ceremony on Tuesday, May 29. 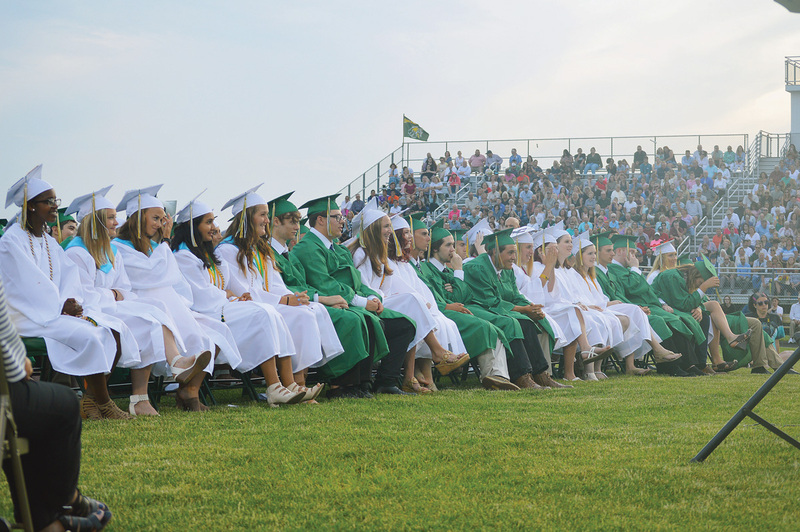 A weekend of torrential thunderstorms, followed by a morning fog and power outages cleared into a perfect spring night, just in time for Indian River High School’s graduation on Tuesday, May 29. IRHS Principal Michael Williams began his first IR graduation by thanking the maintenance staff who made the outdoor ceremony possible. He also marveled that, of the 179 graduates, about 84 percent chose post-secondary education; 12 percent will enter the workforce; and almost 4 percent will go into the armed forces. “Standing in front of you all, I see nothing but great leaders heading into the future with a lot of potential. 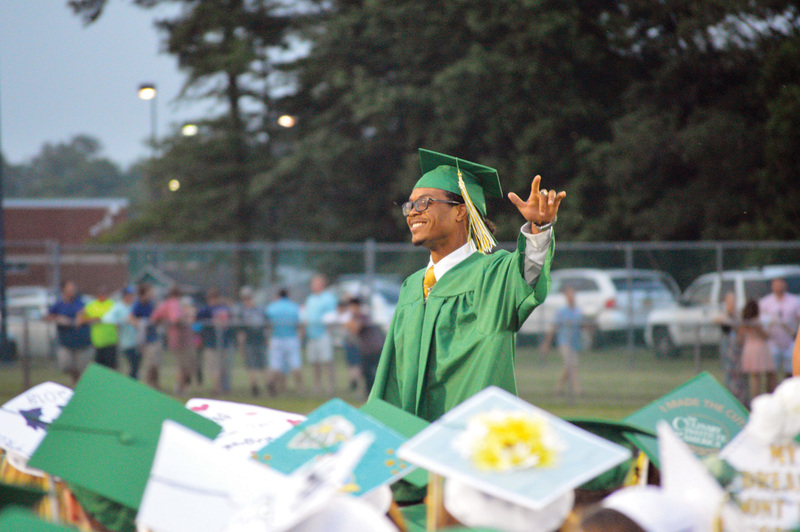 … I’m proud of you all,” said Class President Fabrea McCray-Conner. “Walking into school every day was easier, knowing I was a part of a smart, athletic, talented and motivated group of teens who wanted nothing but the best for themselves and others. She and other students repeatedly thanked the parents, teachers, staff and coaches who guided them through their journey. “Good teachers move extraordinary people to do extraordinary things,” said guest speaker Salome “Principal El” Thomas-El, a lifelong educator and head of the Thomas Edison Charter School in Wilmington. “We’re hard on [you] now so it’ll be easier in life. He spoke about the students who don’t have it easy, the women who keep things going and the men who stay involved in their families. Patel said success isn’t about wealth, social status or grades. Including Patel, the top 10 academic students were recognized: Delaney Brannon, Kennedy Butch, Dahria Kalmbach, Nathaniel McCabe, Ryan McCoy, Emily Tharby, Samantha Whelen, Isabel Wolfenbarger and Jewel Yanek. In a surprise announcement, the six winners of the IR Pride Scholarship from IRHS Alumni Association were revealed, including Brannon, McCabe, Whelen, Yanek, Joud Dabaj and Mackenzie Webb. The graduation song was the acapella “In My Life (It’s Been Unwritten),” arranged by graduate Kennedy Butch. 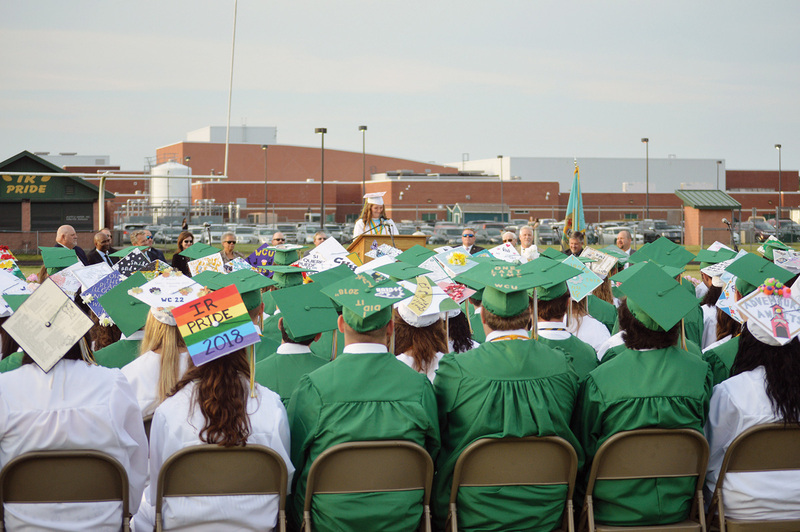 Although the students all wore green and white robes, creativity sparked color through the crowd. 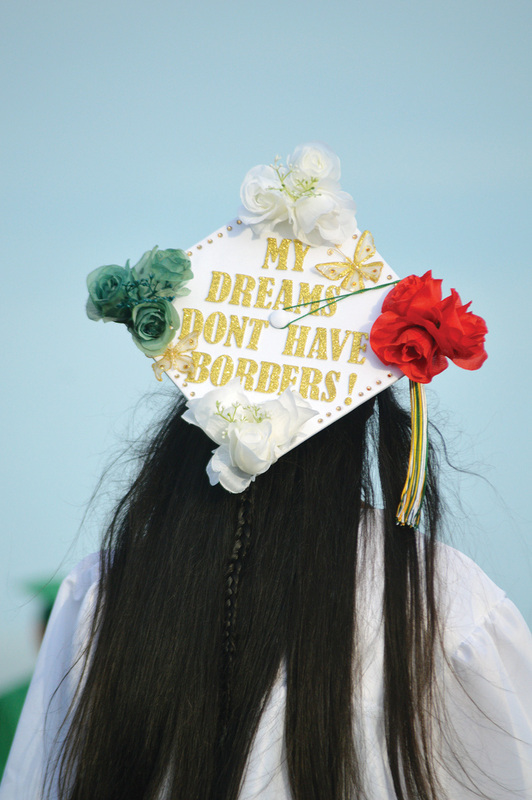 The graduates had decorated their mortarboards with paint, glitter and flowers; green and gold; inspirational quotes; beloved poetry and characters from childhood; future career and college plans; and family photos. 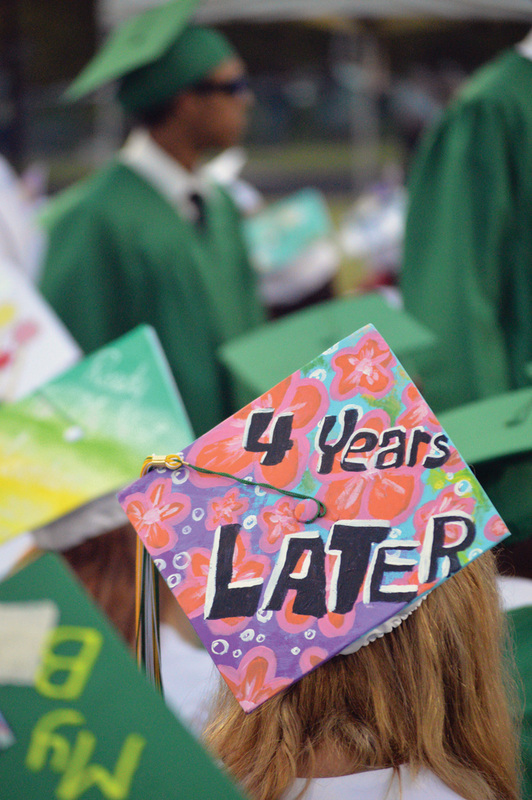 As the ceremony ended, each of the caps was flung into the air, celebrating the completion of high school and good things to come. See a full photo gallery at www.coastalpoint.zenfolio.com.